A cut that perfectly compliments the color job, layers are strategically cut and styled to lighter blond strands to make them pop. By point cutting the ends, a choppy, lived-in and natural movement is given to the cut that will ensure it grows out flawlessly from a mid-length to longer style. 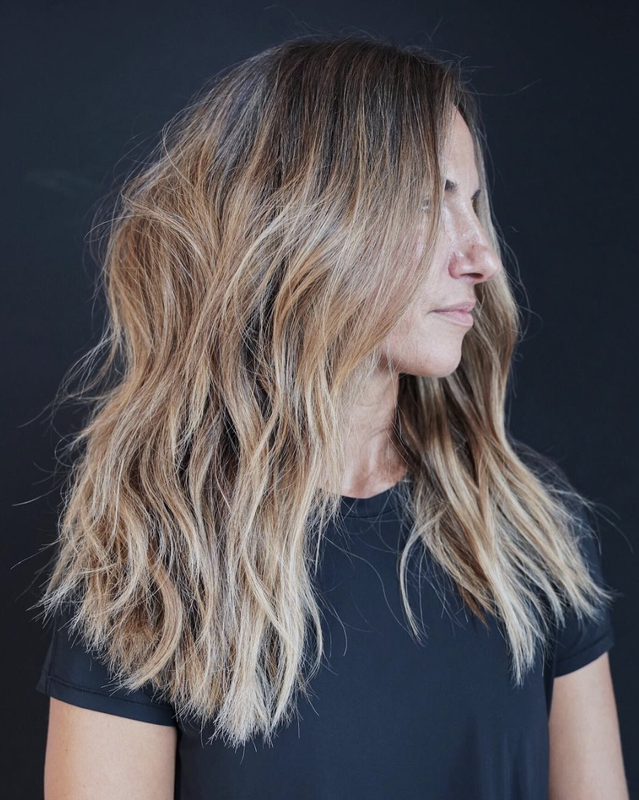 To style this look, blow dry with the head upside-down for maximum root volume before curling with alternate Lived-In and NuWave styles before combing through to loosen up the curls and finishing off with Next Day Hair for volume.